So why did you leave Coxsone? Bad treatment. When I went there he said to me that I must work with him and he would treat me good. And after I was there everybody started coming there because everybody came to get a taste of Coxsone. Even Harry J came there to get a taste you know? He promised me a raise on many occasions and it never came to fruition. So I decided to leave and as I said I thank him you know? I thank him very much but he was becoming a bit jealous. Envious. Because some of the tunes that he did not engineer - he wasn't an engineer - but he started to put his name on it as engineer. But the joke about it was he never wanted to pay me what he said he would and then he wanted to take the credit! He was a man who usually threw one or two punches here and there. But he couldn't catch on with me because I was lifting weights and he realized that I was not one of those kinds of people. He couldn't bring that to me so eventually he started trying to little things but it never worked. There was a brethren there working as an accountant so I sent the accountant to him saying that I'm leaving the work. Because from the time he was supposed to give me a raise he never gave me it. So he sent back the accountant and told the accountant to say to me he would double the pay if I don't leave. So you left Coxsone - did you go straight to Harry J? Yes. There was a record shop on Slipe Pen Road or Slipe Road. While I was coming up the road I saw Harry look at me, because he did know me as he came there [to Studio 1] to do some tunes. And he looked out and said “What happened Morris? You want come work for me?” Just like that you know. So as I left, straight up to Harry J I went. And when you left for Harry J did you find lots of other artists started coming there as well? Every one of them. 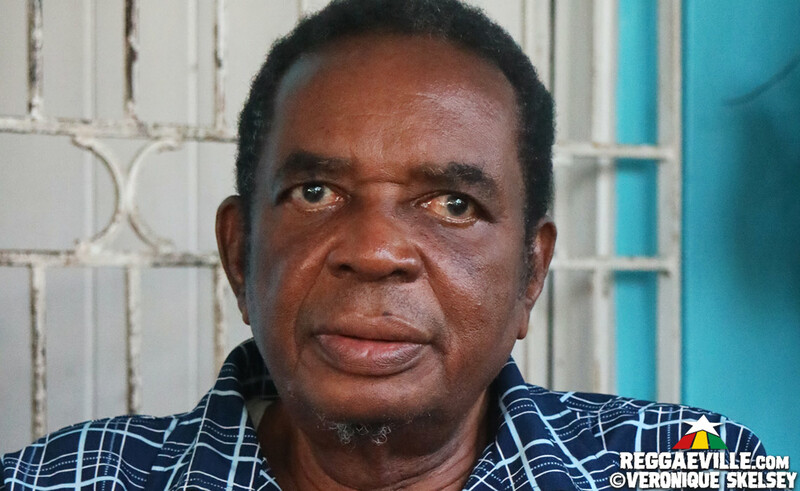 When I left Coxsone I got a vision seeing everybody saying that they'd not go back there. They said anywhere I go that's where they'll be. So when I went to Harry now I started working with him. But did you know that at the same time that I went to Harry J was the same time again that Syd Bucknor was leaving? Yeah because he was working there. Why was he leaving this time? Was it to go to Channel One? Well I don't know… we never question nothing you know? But when I came in, he came out! Two people who’d already moved from Studio 1 to Harry J were Bob and Marcia. Marcia told me that Harry J used to come down to the gate of Studio 1 and asked her to leave. Yes yes yes. Well even the Heptones came up there and did some things because even this tune Book Of Rules it's by Harry J we did it. That tune was a unique tune. As a matter of fact the Heptones said they came there for me to do the tune. So when I heard the tune at the beginning it sounded so beautiful man. But when I started to mix the tune it came like the sound changed. So what I had to do was take back all the equalisation and just bring up the levels, the faders, until I heard it sound the way it sounded to me and then just tweak. Just barely tweak. A very unusual tune there that tune, Book Of Rules. So how was the set up at Harry J different from Studio 1? Well, he had eight track you know? So we had eight tracks there and eventually we went to 16. Because I think Harry had some arrangement with Chris [Blackwell]. Chris he was involved in the music from all over the place. So I think he must have helped him out. We got a board called Helios board, so this is totally advanced from Coxsone. So you came to Harry J after he did Liquidator? Yes, I was after that. 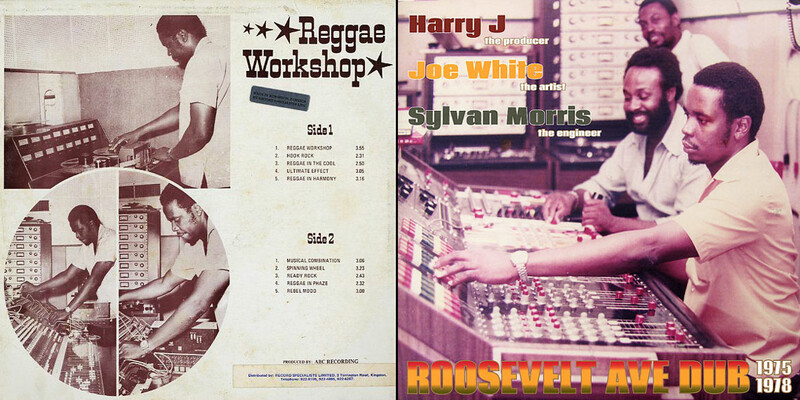 But when you went to Harry J dub music was taking off… You would release some dub albums 1975’s Dub Wise (Morris on Dub), Reggae Workshop and 1978’s Cultural Dub. Well let's put it this way. It's started to take off from Coxsone you know? Because what caused the dub thing now, Black Arrows and Prince Patrick and all of them and when he had sound clash they used to come and ask me if I had any tunes that I can give them. So I might play some tunes and they would select a tune. What happened was we used to cut dubs down at Coxsone too you now? Dubplates. So I would give it to them up on a Dubplate and they carry it down so they could mash down another sound or conquer them. Now the next sound now would send in some spies because more times when we gave them the tune and gave them a name, they changed the name you know? So they were sending some spies and when the spy would go in to find out what the tune was named. Because if they used the tune to mash them up they'd want to get the tune too. So that's how come the dub thing started. What happened is sometimes a man would go and he would see the name of the tune up on a Dubplate and when he’d come and ask for that tune, we didn't know the tune by that name so we didn't know which tune he would talk. So then he’d have to hum it or have a horn phrase or something. So what we started to do was we had to give them a different style. So we might give one with the pure rhythm and thing and we might give one with a little drum and thing so the drum and bass thing started. I want to tell you some of them also suggested it too, like “Cut out a little of this you know?” So eventually we started to go with it. So the dub thing started. So Bob and Marcia had already started to have some international success from Harry J. They started to travel. Yes, yes. And they started to put strings to some of the tunes. Obviously Bob Marley did a lot of recording at Harry J – the albums Catch A Fire, Burnin’, were part recorded there and you worked on Natty Dread and Rastaman Vibration. Yeah man. When Bob Marley came to Harry J he’d come with his bed and pot and pan you understand? Sometimes he was there for a whole week or two. I guess Bob had left Studio 1 when you arrived. So you met him at Harry J? What was he like to work with? (laughs) Yeah. Well he was a genius as you know right? But because of my so-called expertise they had to depend on me a whole lot. Both the I-Threes and Bob you know? Whenever they were doing things it was a similar situation. If they see me not look good they say “Alright” and I might give them some pointers on what to do and so forth. But he was a little bit... What would I say now? Bob was... I don't know the right word to use… In other words, he is his own master you know what I mean? And he was a disciplinarian you know? Especially when it came to music. So the guys had to play the tune until it was perfect before they came to the studio, you know what I mean? They had to play it perfect and when he came in they’d usually record like about four tracks first. They might have Wire Lindo and Bob and you have Carlie the drummer and the bass man Family Man. And Bob would play the guitar. So they'll always do four or five tracks first and it was always tight you know? Because as I said he was a disciplinarian so they wouldn't come to the studio unless it was perfect. Were they using the click track at that point? No, that never started until later. Was he using a drum machine? No. No sir nothing like that. Pure live everything. I don't know if they started using it later but I don't think so because this brethren Carlie now again he was a phenomenon. If you listen to most of Bob Marley's tunes, he is doing a lot of accompaniment you know? He would roll in and he would ad lib with the cow bells or whatever. And he had some phenomenal rolls. I don’t know if you ever listen to his rolls? They’d sound like a roll of perfection. He was one of the main… Him and the bass man, right? They were the rhythm track. It's then that, after the tune came out, years after, that I really listened to the tune good, you know? It's like a parable - you know what I mean? So we chase those crazy baldheads out of town. My brethren did an interview with me and asked if I believed it's me them a talk about. I said “But I wasn't a bald head”. (laughs) I have short hair but no bald head. But the bald head that they talk about is in terms of intellect, you know? You also did a lot of work with Bunny Wailer. Yeah, up by Harry J. Because we did a Blackheart Man and Liberation - we did a lot of work with him. A whole heap of work with him. As a matter of fact, he didn't want to work with anybody but me. After a while he did start to use up Carl Pitterson and those guys. But a lot of the tunes that he did, he had so much confidence in I that he just tell me what he wanted and he’d just allow me to mix it - you know what I mean? You ever listen to that tune Blackheart Man? It's a classic you know? Both lyrically and musically. What about Burning Spear? I guess you must have worked with him at both Studio 1 and Harry J? Yes. When he came there, he said he was given a vision. We did some work with him with Jack Ruby but he and Jack Ruby pulled up like they had some disagreement so through that a lot of the tunes were being done by me. Burning Spear came to me and asked me to produce the album, I think it was Man In The Hills. You know I produced that album, helped arrange it and everything and when the album was done, Don Taylor his manager in those days he was going to go to Chris Blackwell and get my money because he was supposed to pay me to produce the album. And he said unto me “Boy me ago pay you some extra you know because I really appreciate the album”. And until now I didn't get paid! But you know, as I said to you that's how the music runs, you know what I mean? Because sometimes the best of things we were not paid for. But that's how the earth was set up, so it's no big thing. I don't really dwell on those things. So I did a lot of work with him. He's another phenomenon you know? When you were recording at Harry J in the 70s there were a lot of Rasta artists. What is your spiritual faith? Are you a Christian? No, I was never a Christian. I am a Son Of God. It's a different business that you know? Christian people is an organisation you know? I don't see Jesus Christ say nothing about Christians in the Bible. He said “You must be born anew. For all things must pass away and all things must become new.” My study was the Bible. I studied it very, very powerful you know? But I never went to the temple they call the church. I used to do that when I was quite young with my mother because she was a Catholic. But after I left there I went on my own. I just do my prayer to myself and the Father. But the rest of them? They claim say that I was a Rasta you know? They say that me is a Rasta you know? Because I interacted with them and I never had any problem with them. That's why they used to call me Brother Morris. Judy Mowatt she said I was a Rasta. Yeah man, they loved me and I loved my thing. You also met Stevie Wonder at Harry J. (laughs) Yeah well that encounter wasn't such a nice encounter you know? I was working with Harry J in that time and it was me who did everything. Sometimes I would reach home at three or four in the morning. So I was hard at work one day and Stevie Wonder came in there. I think it was about 8 o clock at night and said he wanted me to do some work with him. So I said to him boy I really couldn't go there. I really couldn't go no more. Tired you know? And it saddened me to be truthful. If I was to work with Stevie like that I wouldn't have done a good job. I probably would have fallen asleep at the board. Because one or two times I fell asleep. You ever hear about Music Mountain? I dropped asleep up there so. Too much work man. Everybody, it’s me they come to now? So were you working at other studios while you were at Harry J? Yes. One or two places. Which places apart from Music Mountain? Well I worked everywhere. When you check it, I worked at Tuff Gong, we used to work down at Gussie in the early part. Scorpio, Anchor, we did some work up at Mixing Lab to but not much. So how much interaction did you have with Chris Blackwell? I don't think I've ever spoken to him, you know? So it was always coming through somebody else like Bob or Burning Spear? Yeah. I remember one day I was mixing a tune and he came and stood up in front of me and he had on dark glasses. While I was mixing he was right in front of me over the board. It was a bit intimidating but I didn't really say anything. I never really had any transactions with him. I have always wanted to, I wanted to tell him how much we appreciate, you know? Did you ever go to Channel One? Because Syd Bucknor was there for a while. No. I just passed through. But I didn't really do any work there. I just went there and observed and they asked me certain questions and things. As a matter of fact one day up by Harry J the whole of Channel One come up there, you know? They booked a session up there because they wanted to come and belittle me! Because there was a rivalry between Scientist - you ever hear about the Scientist? Well I am the original Scientist. So Scientist came and we showed him the rudiments you know? And then we’d go outside and we sit under the lignum vitae tree. But half an hour after the man came out and said “Yes, me find the Channel One sound in Harry J!” So I'm out there for about an hour or so and all of a sudden I hear a man come out and say to me he wants me to come and give him some help in the studio because he doesn't like what's going on in there. So I said “No I couldn't do that because Scientist has come and he is the engineer”. So they go back in and then in another hour the man comes out and the whole studio comes out and say “You have to come in and come help me you know because pure foolishness go on inside”. And the man held me and carried me in. I never wanted Scientist to feel any way so I went in and said “What happened Scientist? What go on, man?” And the man said “Set up the thing for me, man”. So I set it up and the drummer played and started the tune and got a general mixing. And he said “Yeah man”. So eventually they go and they wanted me to help them set up and leave them and they feel alright you know? So did you do a lot of work with Sly and Robbie? Or were they mainly at Channel One? Yeah well to be truthful not too much I would say. I did a good amount. Because I even produced three albums and I used them on them too. I used Sly upon it. Did you work on Dennis Brown’s Revolution? There are certain things that I don't remember and I'm going to tell you why. When I was doing a tune then I would do them like they're on my own. So I put everything into it. Through that now sometimes I don't penetrate the name of the tune. I just want to make sure the thing is done and it's alright and then they're gone. So a whole heap of the tunes came that way. One time I was down at Dynamic Sounds and… you heard about Augustus Pablo right? Because I did a whole heap of tunes with him. He came and was in the cutting room where they used to cut the acetate? I heard some tunes play but they sounded extraordinarily good you know? But I didn't remember it was me that did it. As a matter of fact, I couldn't say it was me that did it. So I went into the cutting room and said to Pablo “Pablo those tunes sound good man, how you do those tunes there?” He said nothing to me, he just took up the album cover and said “Look now.” So I looked and I saw ‘Sylvan Morris’ (laughs) He said “A you do them, man. All those tunes you hear - you did them. You mix them.” But I don't remember them because I did so much tunes! Thousands of tunes you know? In the 80s when the music started to change how did you feel about that? First see the lyrical content started to change but then the thing went digital. To be truthful the thing that is bothering me is the lyrical content. In the earlies they used to be singing about helping out South Africa, Zimbabwe and a whole heap of those tunes there where it sort of gave the people strength - you know what I mean? I never liked the change in the lyrical content. And the so-called dancehall thing that they have. I mean let's face it, the youngsters cling to that. But it kind of depreciates the value to a little degree. Because the beauty of live recording started to be taken away by drum machines and all those things there. So you see that feel? That spiritual feel? When a man can play and he can do some put in a little ad lib here, a little ad lib there on the musical instruments. When you play the basic dancehall it doesn't have a lot of variations. So this digital thing it's kind of good and not so good, if you know what I mean? From an engineering point of view how did it affect your work? The digital rhythms with drum machines and keyboards but still using electronic equipment. I was first in all those things there because I'm an electronics technician. Because I used to repair the studio you know? You ever heard about Chow? Down at Tuff Gong? The Chinese brethren there. He used to go up there and fix the machines you know? He was a highly trained engineer, right? But some of the things… I don't know if he was so good on the dub machine. On the cutting machine. So I used to have to go over there and go help them with that. Fix them up and things. Most of the studios it was me that fixed them, you know? Scorpio, Jammy’s. I’d go to Scorpio and fix up dub things and all of that. As I said Tuff Gong, Dynamic Sound. So I did a lot of work in terms of the engineering. Because up till now I don't see anything that sounds like analogue. You see the digital and those things, they're clean, totally clean you know? But the computer now, it's so clean it comes like it cleans out some of the natural stuff. How long did you stay at Harry J? I think it was about 13 or 14 years. I left there in ’84. I went forward to Dynamic Sound in 1985 because Harry J did bring off his foolishness. But I still eventually reached Dynamic Sound in ’85 too. Maybe the later part of ’85. (laughs) The same thing that reached me in all of the studios. Man gets jealous. Everybody come and ask for Morris, nobody asked for Harry J. They ask for Morris. And it's me who fixes the machines. Repair them and all that. So one day something went wrong with one of the machines. I think it was the 16 track or the 24 track. I found the problem and gave the part to him to go and buy it or to send go buy it a foreign. So I think for about a week or some days work didn't go on. So one day I was there because I waited for the part to fix the machine. I was there in the morning till about 12 and I went to look for some lunch and the part never came yet. When I came back I heard Harry J raise one hell. Saying I sabotaged him because the parts came for the machine and I didn't fix it. So I said “But when I was leaving here the part never came in. And you were supposed to bring the part here. And when I was leaving here the part never came. So that's why I went to lunch. If it had come I wouldn't have gone to lunch.” And the man went and locked up the studio and said I sabotaged him and he made some comments which weren't good. Like he can do me something and nothing can come out of it you know? And he was talking about something fatal. That's a very long vacation. So how long did you stay at Dynamic for? 24 years. I did everything down there. Fix the computers, because it started from cassette then it went to CD. I used to repair them all. They used to have some foreigners come down, some Americans. But when they realised that I can do it they didn't bother. A great amount of artists I dealt with down there, you know? I used to do recordings too. Do you know of the anniversary album? The tribute to Bob? 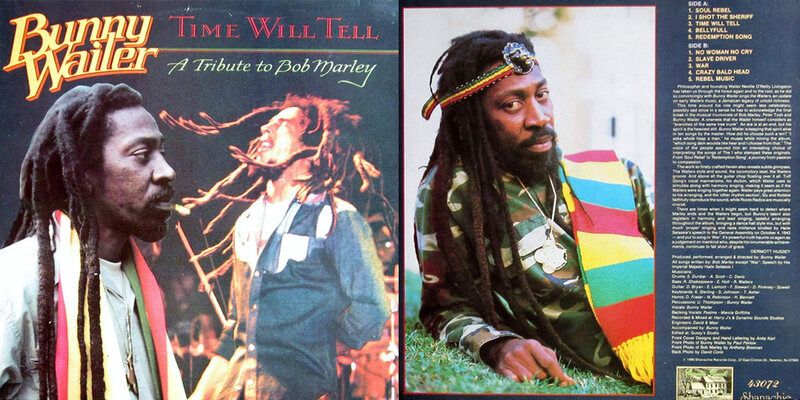 Bunny Wailer did? Time Will Tell from 1991. I did all of those recordings. Down at Dynamic Sound. I personally did that. Both the recording and the mixing. Did you have much interaction with Coxsone before he passed? The sweetest joke you know? I don't want to change your thought but when I left Coxsone, one day I was up by Coxsone and some people came in and Coxsone showed off himself so he said it's eight track he had. When it was two track he had! But he told them that it was eight. Two tracks he had and he added six! Now it kind of bothered me you know? The kind of diss the program. 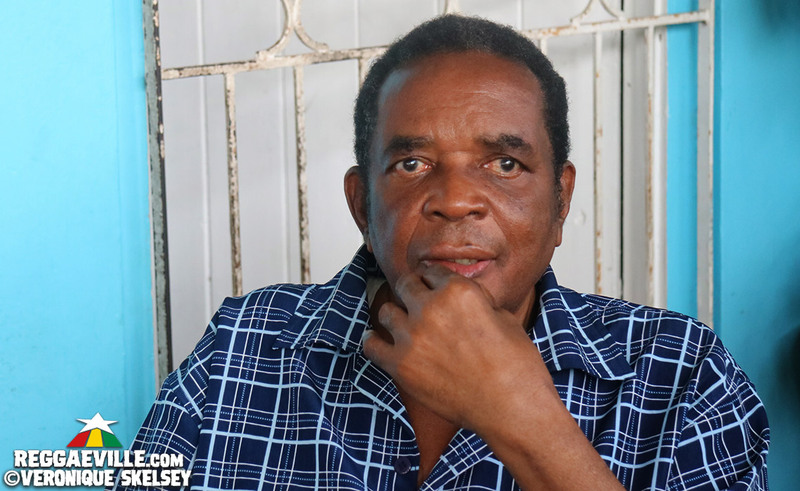 So I always had it in my head so after I left Coxsone and went to Harry J and eventually went to Dynamic Sound some people came from the States and wanted to do… have you seen The Studio 1 Story? Yeah. So they said “Where is Morris there? Put Morris there”. So Coxsone said “No man he's not there so we have to do it so”. So they said “If he's not there we're not doing it you know?” So he sent for me. He sent King Stitt to call me on the phone saying Coxsone says he wants me to come in on The Studio 1 Story. So I said “Tell him to call me” but he never called me. So he sent some of your people, the Caucasians, and they called me and we talked over the phone. So I said “No tell him to call me”. When did your vision start to become impaired? I remember when I was at Dynamics you had some people who came from Germany, France. About 10 people would meet me down at Dynamics and sit down upon the ground out front there and say they come for to listen to what me say. Because everybody that they know would meet me you know? And it's not that I’m better than anybody else but you know sometimes each one teach one. You can teach me something you know? And I can teach you something. I did some tunes for him but and we were doing some tunes up at Harry J too. You know Steven Stewart? Until he pulled it down you know? I'm supposed to be doing some work shortly too. You ever heard about this brethren named Ras Midas? He's a unique brethren that. I did two albums with him. Rasta in Exile and one other. But he wants me to do another album you know? And I saw you appeared in a documentary that Gussie Clarke put together for his Dub Anthology compilation. How did you get involved?